For many recent grads, student loan debt is an overwhelming burden. In fact, about 7 million borrowers have gone at least a year without making a payment—which means about 17 percent of debtors are delinquent. If you can’t afford to pay back your student loan, it may seem like your hands are tied, but the last thing you want to do is ignore your debt. 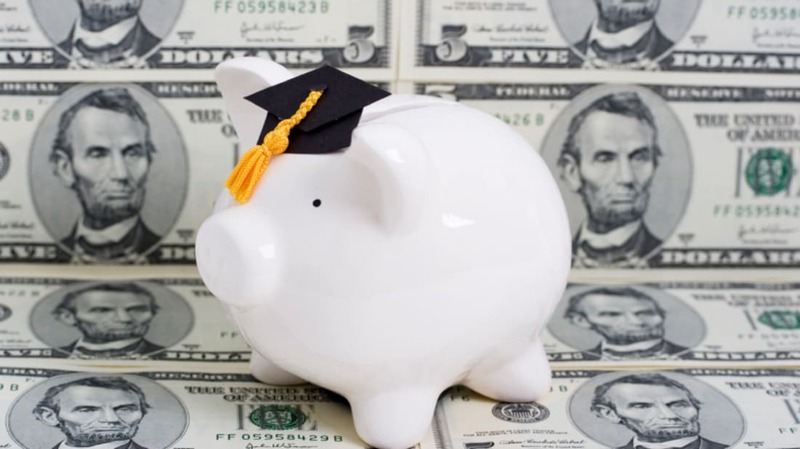 Unlike most other debts, student loans aren’t typically dischargeable in bankruptcy. In other words, you’re likely stuck with them. However, there is some relief, and David Carlson, personal finance expert and author of Hustle Away Debt, breaks it down for us. WHAT HAPPENS WHEN YOU STOP PAYING YOUR LOAN? When you're late on your debt payments, you can expect your credit score to plummet. And poor credit leads to all sorts of other money hassles: You might find it difficult to buy a house, get a car, or rent an apartment. If that’s not enough, some bill providers are even allowed to charge an extra fee to customers with low credit scores. - If it’s a federal loan, you’re no longer eligible for student loan forgiveness programs. - Your wages can be garnished. - Your tax refund can be garnished. - If the loan is sent to collections, you may owe additional fees. Beyond that, here are a few options for relief. If you don’t earn much and you have a federal student loan, you might consider an income-driven repayment plan, which lowers your monthly loan payment based on your income. “There are four different options with this but they all follow the general principle that you will only be required to contribute a certain percentage of your discretionary spending towards your loan,” Carlson says. The eligibility requirements and repayment criteria vary between each plan, but you can check out the details, including instructions on how to apply, via this IBR fact sheet (PDF). Also, with an income-driven repayment plan, some of your interest and loan balance may be forgiven—but keep in mind, you’re generally required to pay any taxes on this forgiven amount. Similarly, an Extended Repayment Plan changes your repayment period from 10 to 25 years. Payments can be fixed or gradual. Of course, the longer it takes you to pay off your loan, the more you’ll pay in interest. But if you’re truly struggling, it's a better option than risking default. If income based repayment isn’t an option (maybe you have a private loan, which understandably isn't eligible for federal loan programs), you can always try calling your lender to work out a new plan with new terms. Again, the longer you take to pay off the loan, the more you’ll pay in interest. Many lenders also offer deferment and forbearance. With deferment, you can stop paying your loan's principal and interest for a while, essentially postponing your repayment to a later date. Best of all, interest won’t accrue during that “no pay” period. Forbearance works pretty much the same way, minus the interest benefit. Your interest will continue to accrue while you’re not paying your loan. “There are a variety of situations where you are able to enter deferment, including being enrolled at least part-time as a student or during a period of unemployment or inability to find full-time employment,” Carlson says. The Department of Education has full details on both options at their Federal Student Aid website. If you have a private loan, again, you’ll have to talk to your lender to see if they offer either option. With a loan consolidation, your student loans are refinanced into a new loan. This means you’ll have a new repayment schedule, and your interest rate may change, too. If you’ve gone into default, consolidation can take you out of it. However, it’s not an ideal move.